Dorchester Martial Arts was formed in 2009 by head coach Luke Mannion. We are the only club in Dorchester teaching authentic Muay Thai, Jiu Jitsu and Kali. The club very quickly gained a reputation for quality coaching and a great training environment. We consistently brought in internationally renowned coaches for gradings and seminars, the first time this had been done in Dorchester. A steady increase in demand for our classes led us to move into a full-time venue in 2012. 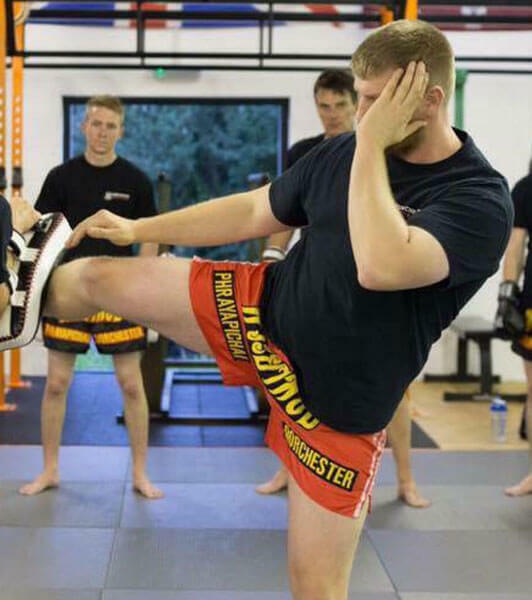 Luke is the most qualified Martial Arts and Fitness Instructor in Dorchester; he has studied martial arts for over 25 Years and holds Black Belts and coaching qualifications in various Martial Arts and Self Protection systems. Luke is a former Parachute Regiment Sniper and saw active service in Kosovo, Sierra Leone, Northern Ireland and Iraq. Luke represented the Parachute Regiment, Army and Combined Services (best from Army, Navy and RAF) at Martial Arts during this time.